The IRCN currently houses five core facilities under one roof. 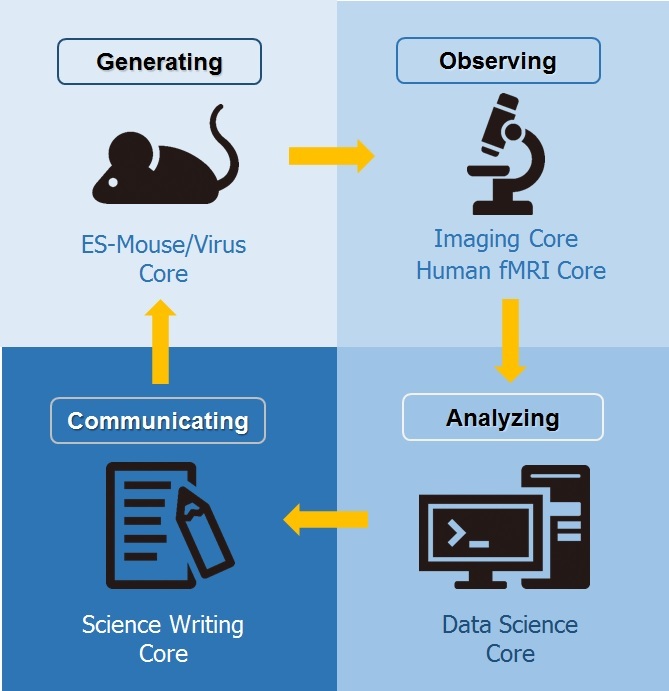 The ES-Mouse/Virus Core, Imaging Core, Human fMRI Core and Data Science Core provide a platform for enabling researchers to seamlessly integrate hypothesis and verification cycles for efficient research on the brain. IRCN also contains a Science Writing Core to support world standard science writing and communication output and training of all members.